Born 1934 in Memphis Tenn. Died 1964. 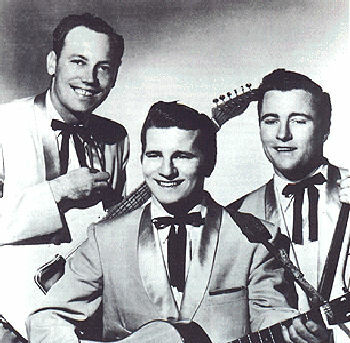 Members of the Trio included Johnny, his brother Dorsey, and Paul Burlison. Trade paper ad, Billboard, 1956/June 2. Feature article in issues 8-9 (1981) of Rock & Roll Performers Magazine. Feature article, discography, and sessionography in issue 12 (1982) of Rock & Roll Performers Magazine. Feature article on Paul Burlison in issue 16 (1983) of Rock & Roll Performers Magazine. Article in issue 46 (1987) of Now Dig This. Article in issue 71 (1989) of Now Dig This.